Ambush your assailants with this nifty and compact water pistol! 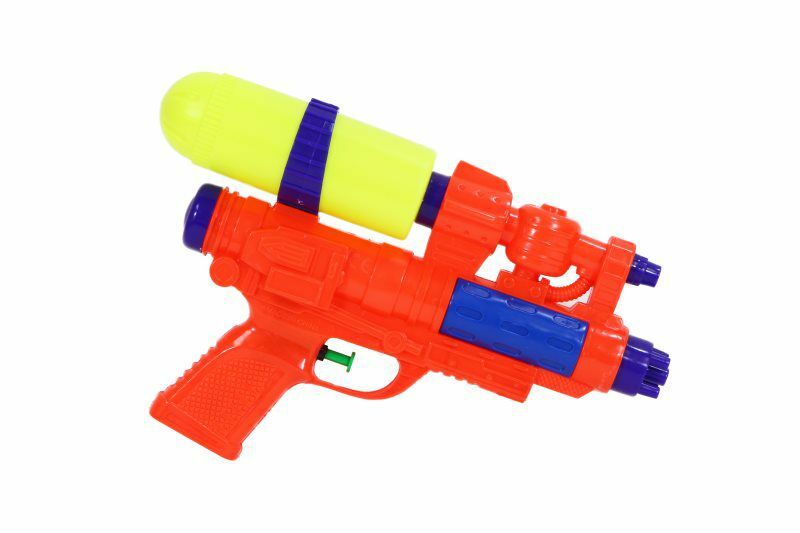 This 11-inch water blaster is perfect for sneak attacks and on-the-fly water raids. 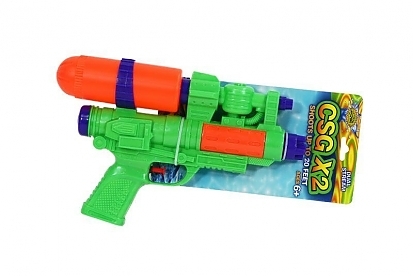 The affordable CSG X2 Water Blaster is sure to be a hit with young and old alike. It comes in a variety of colors and is sure to please everyone with its sturdy construction and compact design. 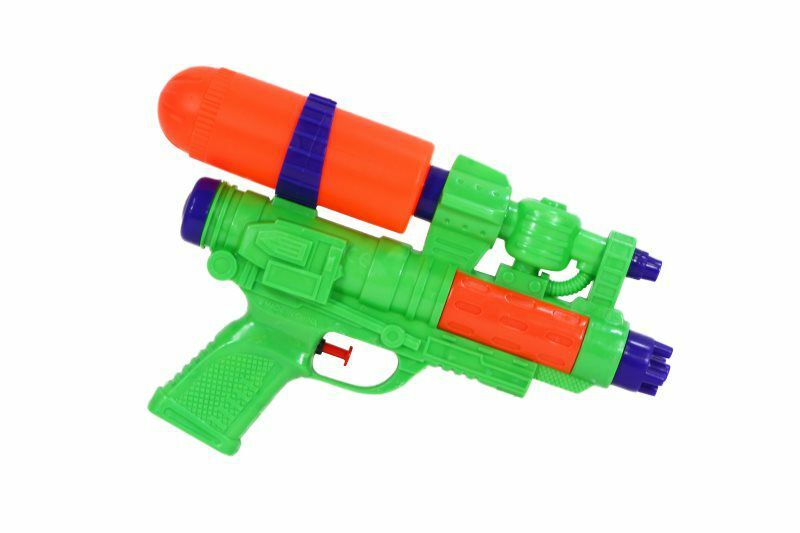 Enjoy hours of water blasting fun with this 11-inch water blaster. It is the perfect prize for picnic games and party favors, and makes birthdays and outings a literal blast! Unlike clunky water blasters, this blaster fits in totes and backpacks, and is perfect for light travel. 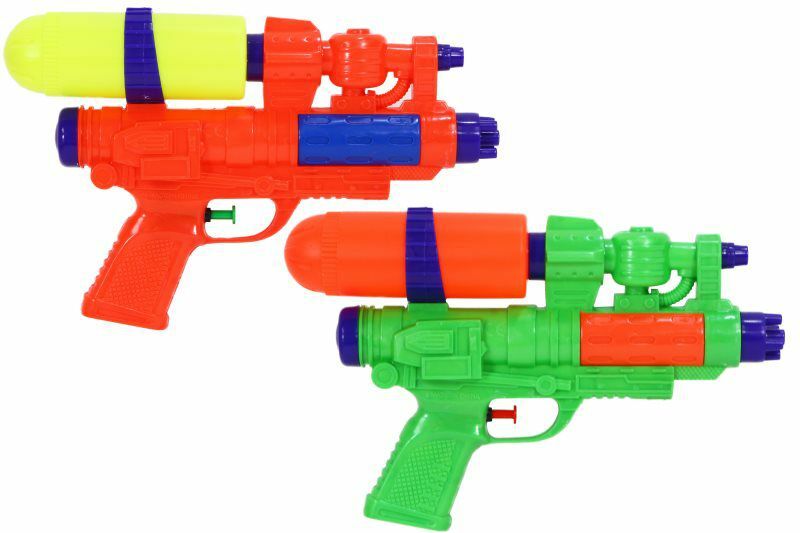 Larger than traditional water pistols, use this water artillery to blast your competition with tons of water. In the midst of an epic water battle, enjoy mobility with this light weight water toy. 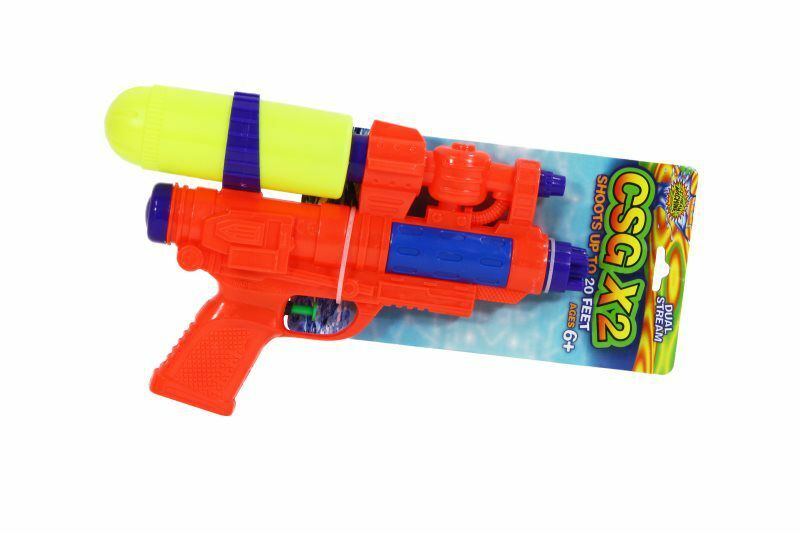 Don't be fooled by its compact size, this water blaster unleashes a jet stream of H20 onto opponents with drenching accuracy. Unleashes a jet stream of H20 onto opponents with drenching accuracy. 11-inch water gun is perfect for sneak attacks and on-the-fly water raids. Perfect prize for picnic games and party favors.